Traumatic Brain Injury Attorneys Miami – Shamis & Gentile, P.A. When a person is involved in a Miami car accident, they often feel sore afterwards. Even more often, they feel pain in their neck or their back. These are common injuries. But sometimes accident victims experience head pain following an accident. This can be because they hit their head during the accident on a steering wheel or a window, or because there was significant whiplash during the accident. When these types of pain surface, it is always a good idea to be evaluated for a potential traumatic brain injury. Shamis & Gentile, P.A., Traumatic Brain Injury Attorneys discuss what a traumatic brain injury is, how they are caused, and what sort of treatment you could expect moving forward. A traumatic brain injury (TBI) is a form of brain injury caused by sudden damage to the brain. The Centers for Disease Control and Prevention has identified the leading causes of TBI to be falls, motor vehicle and pedestrian-related accidents, collision-related events, and violent assaults. During an accident a TBI is caused when you hit your head against something inside the car when you were struck. This damage usually results in two different types of damage: primary and secondary trauma. The first of these is known as primary brain damage. This sort of damage takes place at the moment of impact and usually consists of skull fractures, bleeding in the brain and blood clots. Then there are secondary brain damages. These damages usually develop some time after the accident and are not immediately noticeable. They can include increased blood pressure within the skull, seizures, and brain swelling. How will I know if I have a traumatic brain injury? After an accident, if you feel as though you may have a traumatic brain injury, it is important to get evaluated immediately. The easiest way for a chiropractor or physician to determine whether or not you have a brain injury is to undergo an imaging study such as a CT scan or an MRI. Based on these results, a medical doctor will then be able to tell if you have suffered a traumatic brain injury. 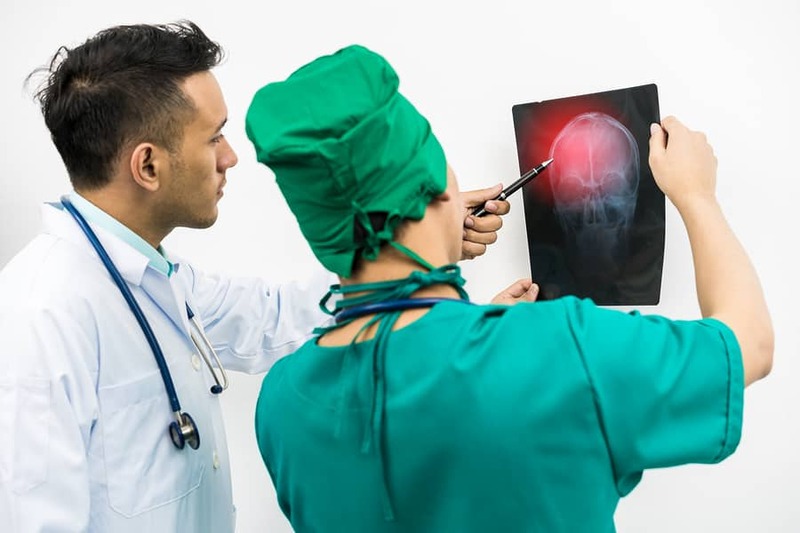 If the physician determines that you have suffered a traumatic brain injury, the next step would be to get you set up with a team of doctors and professionals who specialize in treating victims of a traumatic brain injury. Depending on your individual needs, you may meet with a pathologist, a neuropsychologist, a physical therapist, a speech-language pathologist, etc. It is then crucial to contact Traumatic Brain Injury Attorneys at Shamis & Gentile, P.A. Each case is different. It all depends on which area of the brain was affected. It is possible that you may have physical issues which can include headaches, seizures, issues with balance, issues with coordination, vomiting, nausea, etc. A person may also experience sensory deficits. These can result in a person becoming unbalanced and being unable to locate yourself in relation to other objects around you. The next kind of changes a person could experience are behavioral changes. A person who has behavioral changes is likely to feel more depressed, agitated, or frustrated. If you are feeling any of these symptoms, it is important to contact a Miami personal injury lawyer today. South Florida Injury Attorneys, Shamis & Gentile, P.A. is a Miami personal injury law firm located in the heart of downtown Miami. If you feel as though you or someone you know is suffering from a traumatic brain injury, please feel free to reach out to the traumatic brain injury attorneys at Shamis & Gentile, P.A. If you need help with your case, please give us a call and we will do everything we can to get you the compensation you deserve. Contact our office today by email info@shamisgentile.com or by phone 305-479-2299.